Two subscribers of my newsletter asked me to research over nanocurcumin a few days ago. They were excited about it. As I was busy, I was not able to do so at that time. I again came across Nanocurcumin a few days ago and decided it is time to write on it. The more I read about it the more I was amazed! and I am sure you will be amazed too. But first, a little bit of background to start with. The story of Nanocurcumin starts with the story of turmeric’s poor absorption in our body. Turmeric is an important edible and medicinal herb which has been used since centuries to treat several diseases like arthritis, pain, bruises, eye problems, gastrointestinal problems, worms, swelling, cancer and many more. Curcumin, a low cost, non toxic active ingredient in turmeric is responsible for its characteristic colour, odour and therapeutic anti oxidant and anti-inflammatory properties. However, due to its poor solubility, high metabolism, and bad pharmacokinetics, it loses its efficacy in efficient treatment of the disorders. Here comes nanotechnology to the rescue ..
To increase the productive use of curcumin, nanotechnology is being considered a potential option. Chemicals modified by nanotechnology have been proven to be highly effective for drug delivery and targeting the required tissue with low failure rates. Nanocurcumin is a modified form of curcumin in which the particles of curcumin are transformed into nanoparticles that are more soluble and deliverable in the body. These particles have been shown to be more targeted to the tissue of interest that leads to better drug delivery and faster treatment without any wastage or side effects. Though in its initial stages, curcumin nanomedicine or nanocurcumin has made its way to the list of drugs that are highly awaited to be transferred from bench to clinics. So where are we in terms of research on nanocurcumin? Here are some pointers. As we know now, turmeric’s active component, curcumin, in its native form is highly insoluble and inert. It is not well absorbed in the body and expelled out quickly when consumed. This affects the bioavailability of curcumin to the affected organs. Consequently, only an extremely small amount of curcumin is used up by the body for its therapeutic effects as compared to the actual amounts consumed. Reports on formation of nanoparticles of curcumin were first reported in mid 2000’s. Scientists from John Hopkins Institute reported the formulation of nanoparticles encapsulated curcumin for the treatment of cancer in 2007 . Subsequent researches have tried to improve the biodistribution of native curcumin by modifying the initial attempts of synthesis of nanocurcumin by not just optimizing its effects but also, its costs to make therapy financially easier. Advances in the research on formation of nanocurcumin have resulted in not only the use of most effective and correct nanocoating on curcumin particles, they also have provided a better compound that has superior pharmacokinetic properties, enhanced internalization, better targeting to the affected tissue and lesser clearance from the system due to metabolization or lack of absorption. The most important thing is taken into account in recent research is the potential toxicity of the nano-carriers used to formulate nanocurcumin. Curcumin in itself is an extremely effective and non-toxic compound for which it is preferred for therapy. But nanoparticles that are used to coat or carry curcumin molecules to the body might be toxic. Thus, recent research is now focussing not only on the formation of a better nanocurcumin medication but also on increasing the safety levels of nanoparticles and reducing the side effects of the drug to a minimum. Another important issue being addressed by current research on nanocurcumin is the limitations and challenges in designing the product. More researchers are focussing on cutting the costs in the development of nanocurcumin and eliminating the limitations of its production process. 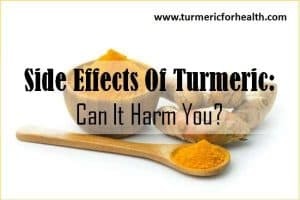 Though turmeric in itself has long been used effectively for several disorders like cold, swelling, cough, worms, bruises and pain, it is known to be comparatively difficult to treat complex ailments like cancer, arthritis, and worms through this herb despite it having a potential ability to treat those. (I am not saying it does not, but it is difficult, especially for disorders such as cancer). 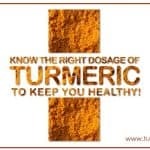 This problem arises because of poor bioavailability of turmeric in the body. 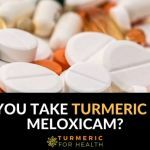 In the past, researchers, who realized this problem with turmeric extracted curcumin out of it and directly supplied the active ingredient for the ailment instead of giving diluted curcumin in the form of high doses of turmeric. 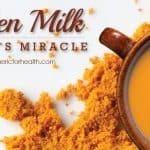 This strategy, though better therapeutically, was again ineffective because curcumin was still insoluble and was rapidly cleared out of the system on consumption. It was also found that due to the high metabolic rates, it wasn’t reaching the target organs in the amounts actually administered. Finally, the solution was created in the form of nanocurcumin, a compound, which preserves the properties of curcumin and ensures that it reaches the affected tissue to show its therapeutic effects, efficiently. Better absorption: Nanocurcumin is better absorbed by the body as compared to turmeric or curcumin which are majorly flushed out of the system once consumed. Of course, we can increase the absorption by adding fats and black pepper to turmeric, but I doubt it can match nanocurcumin here. Better targeting: Nanocurcumin is more targeted to the affected tissue whereas turmeric or curcumin dilute in the blood and reach out to all the tissues, leaving only a small quantity that actually hits the target tissue. This is something very special and may be extremely useful for disorders such as cancer which need very specific targeting. Stronger effects: Nanocurcumin has stronger effects as it only targets the affected tissue. 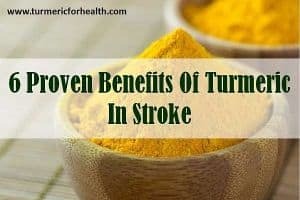 The effects of turmeric and curcumin wear off because of the lack of proper availability to the target. This is easy to understand – when we take turmeric it gets into our whole body, thus lesser availability to the desired region. 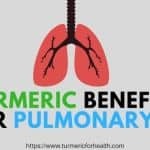 Lower unwanted/toxic effects to other organs: Nanocurcumin prevents unnecessary side effects or unwanted effects to the organs other than target tissues because it is only directed towards the affected tissue, in contrast to turmeric or curcumin. As I have mentioned in my articles, high dosages of turmeric for a long time can cause side effects. A targeted approach will, of course, require low dosages. Lesser dosage required: Since nanocurcumin is more directed and focussed towards the target, only small quantities of it would cure the disease as compared to turmeric or curcumin that need large amounts to be consumed in order to show a little effect. What it means: nanocurcumin is more effective than turmeric or curcumin because of its faster, more focussed and less toxic effect on the target tissue. 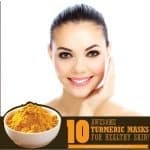 It is also required only in small quantities and its ease of administration is greater than that of turmeric and curcumin, making therapy easier and effective. 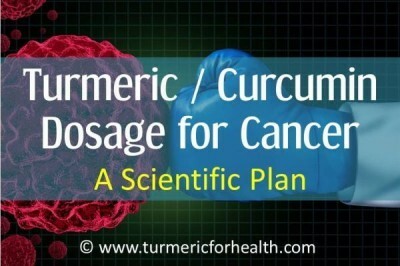 The major therapy areas that nanocurcumin finds its use in is cancer. Research and trials on several types of cancers have proven its efficacy and safety in the usage of curcumin nanomedicine. 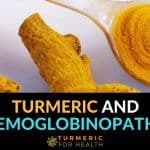 Though curcumin has been shown to be effective in treating arthritis, diabetes and several types of cancers including fibrosis, research on nanocurcumin is still limited to its usage for cancer treatment because of its demand for the same and because of the fact of its formulations still being in testing stages. 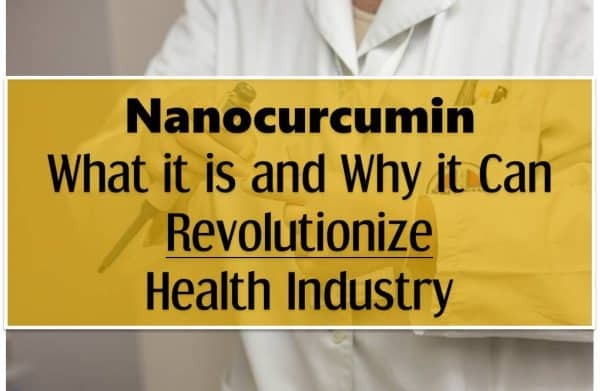 Nanocurcumin has been shown to be effective in treating esophageal adenocarcinomas , hepatocellular carcinomas (liver cancer), colon cancer , pancreatic cancer , cancer of the central nervous system , breast cancers and many more. 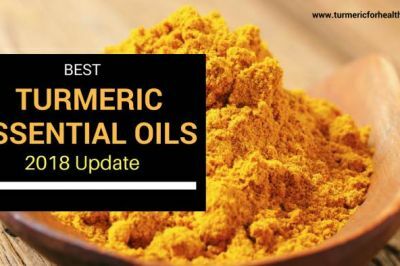 Apart from cancers, a few studies have also been performed to test the potential of antitoxic and antioxidant effects of nanocurcumin against arsenic and lead toxicity . Nanocurcumin has also been reported to have immunomodulatory and antimicrobial effects against HIV and other deadly microbes such as Mycobacterium tuberculosis (causing TB) . Some reports have also been published that prove its efficacy to treat parasitic diseases like leishmaniasis and Filariasis . In these, nanocurcumin has been shown to selectively target the parasites which are otherwise notorious and escape therapy. Why is nanocurcumin research restricted to cancer therapy? Apart from some reports on the therapeutic efficacies of nanocurcumin for treatment of parasitic diseases, microbial diseases and toxicity caused by arsenic and lead, most research areas are majorly focussed on the use of nanocurcumin for cancer therapy. This limitation for the use of this novel compound is hypothesized to be because of its demand. 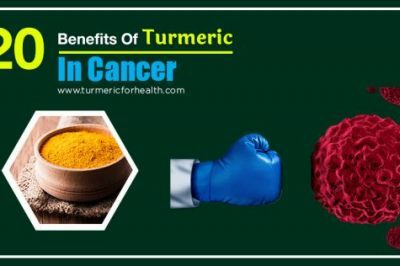 Since cancer therapy is one of the most debated areas being in demand; and the pharmaceutical market has identified the ever increasing need for the development for effective and non-toxic anti-cancer drugs, most research is now being focussed on anticancer effects of nanocurcumin. 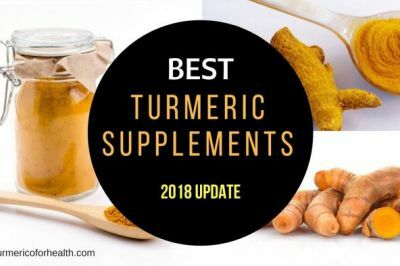 In fact, nanocurcumin, due to its specific activity, is found to be most effective for complex diseases like cancer, leishmaniasis and other disorders that need specific drug targeting which cannot be easily treated by raw turmeric or purified native curcumin because of their non-specific effects. What it means: nanocurcumin has been researched to be extremely effective for some diseases that need the drug to target a specific tissue of cell. These diseases majorly include several types of cancers and to some point, parasitic and microbial disorders. 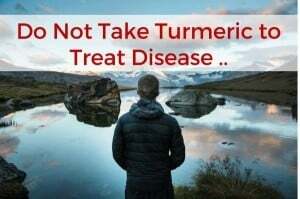 So should I stop taking turmeric? 1) The availability of nanocurcumin is low, in fact its in testing phase right now. So you cannot just go and buy it like we buy turmeric powder today. 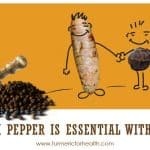 3) Further, turmeric is not just curcumin, it is much more than that. 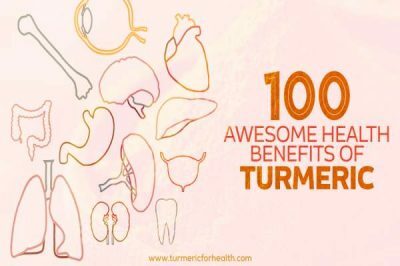 Thus the benefits of other constituents of turmeric which make it what turmeric stands for will most likely be lost in nanocurcumin. Also, you cannot use nanocurcumin topically ! so no face masks etc. 4) Lastly, and most important – nanocurcumin is being developed primarily for curing disorders, its like a medicine. 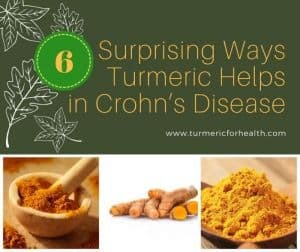 But the real benefit of taking turmeric daily is to make sure you do not get diseases at first place! nanocurcumin which is targeted to a particular organ/disorder is not intended to do that for you. If you want your whole body to benefit from curcumin you should be taking turmeric and not nanocurcumin. Nanocurcumin is emerging as a novel substitute for the therapeutically active turmeric and curcumin. Nanocurcumin, formulated by nanotechnology, is more effective and targeted medicine that preserves the therapeutic properties of curcumin while eliminating the limitations of turmeric and native curcumin such as lack of availability, solubility, and poor pharmacokinetic activity. Nanocurcumin has been identified as a potential treatment for several types of cancers and as an immuno-stimulating agent for parasitic diseases and toxicity caused by heavy metals. In the end, I do feel nanocurcumin has the potential to change the health industry especially in the treatment of disorders such as cancer. I do hope that happens and happens very soon. One Planet Nutrition has USDA Certified Organic NanoCurcumin in Power, and capsules and is very reasonably priced. Check out their products at their website. Nanocurcumin on Amazon available from one planet in Florida it works neuropathy …. Take the finest powder of finest quality turmeric and soak it Fifty or One hundred times in fresh turmeric’s water.Then mix1/20 part black pepper powder in it.Afterwards mix1/10 part Olive Or Virgin Coconut Oil.Mix all thoroughly and keep in a stoppered glass jar.Use to take one teaspoonful with luke water/milk four to six times /Day.This Combination will give so much effectiveness more than so called Nanocurcumin. How long do you let it soak? It is readily available at One Planet Nutrition and is very reasonably priced. Check for yourself. 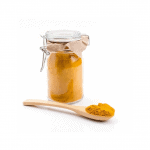 Nanocurcumin is a highly bioavailable form of curcumin and used only in research studies. 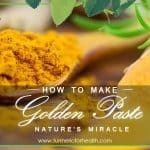 Turmeric can benefit in schizophrenia and one can take the Golden Paste for therapeutic effect. There exist a German study about nanocurcumin (funded by the Federal Government) and the results are amazing: naocurcumin is about 200 times stronger than regular curcumin or turmeric, it is 7 times faster in the bloodstream and stays in the system in high concentration for hours longer, no serious side effects were observed. Meanwhile experts recommend nanocurcumin (brand name in the US Solgar and Quantum Serum) to boost the immune system, to fight all kinds of inflammation and dozens of diseases. 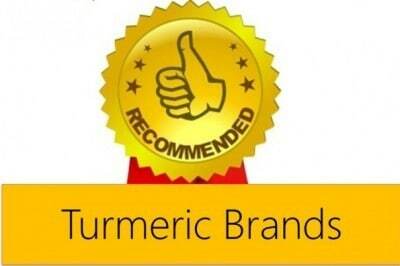 First there are several companies claiming to sell nanocurcumin in a quick internet search. Interestingly they claim 100% bioavailability. This article makes several important points on possible limitations of nanocurcumin though it’s possible uses are impressive. I also question the price/value of this new product. Hi, I am sure those are either fake or very initial prototypes. As I belie of it as at initial stages only. Also you are right they would be costly, but I guess would be worth the value when considering the disorders such as cancer which they plan to target.